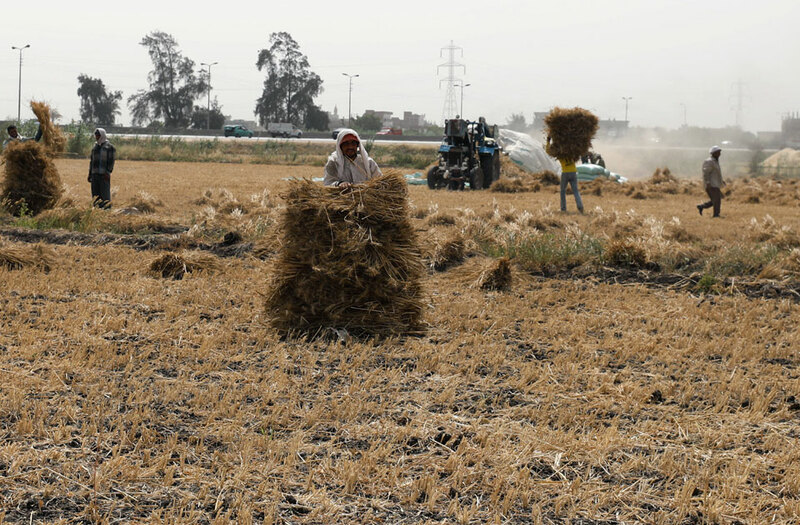 Farmers harvest wheat on a field in the Beheira Governorate, Egypt May 3, 2018. 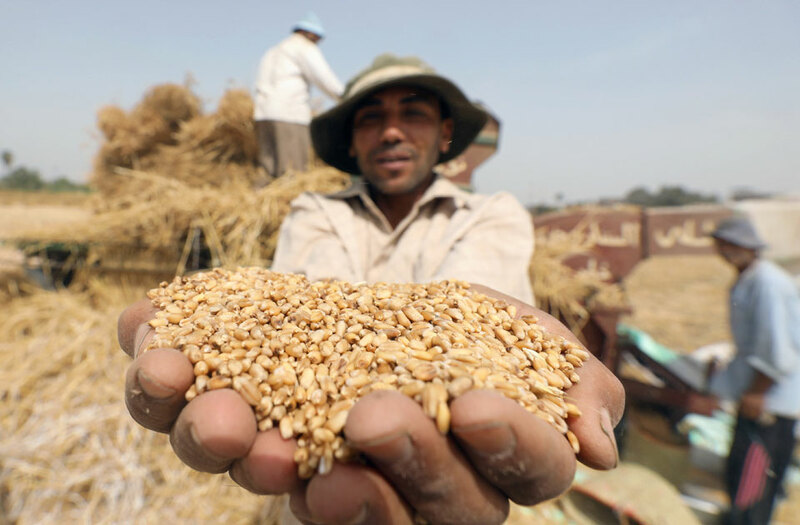 A farmer displays wheat grains at a field in the Beheira Governorate, Egypt May 3, 2018. 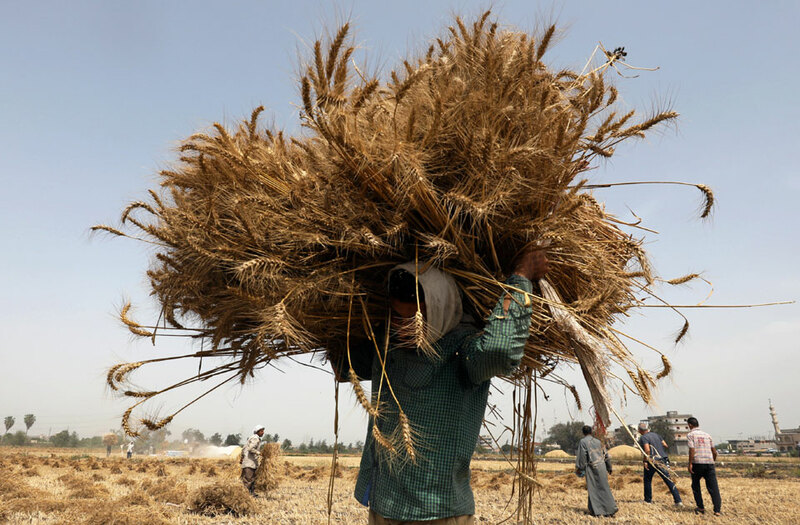 A farmer carries a bundle of wheat after harvesting it from a field in the Beheira Governorate, Egypt May 3, 2018. 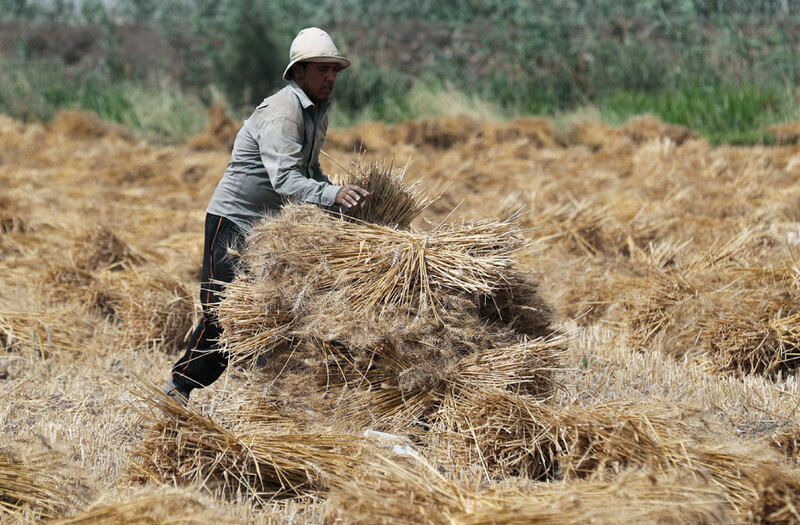 A farmer harvests wheat crop on a field in the Beheira Governorate, Egypt May 3, 2018. 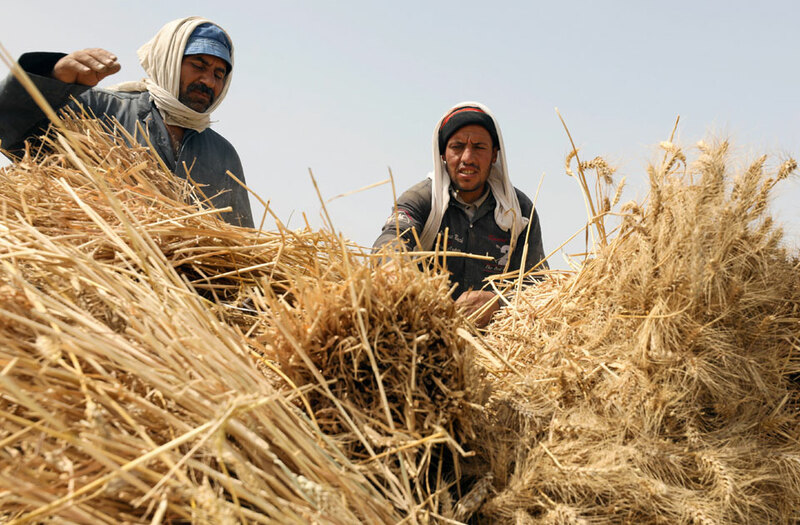 As temperatures rise in Egypt – the world’s largest importer of the grain – the country is welcoming the wheat harvest season. Farmers in different Nile Delta governorates are cultivating the crop, production for which has been increasing over the past few months. 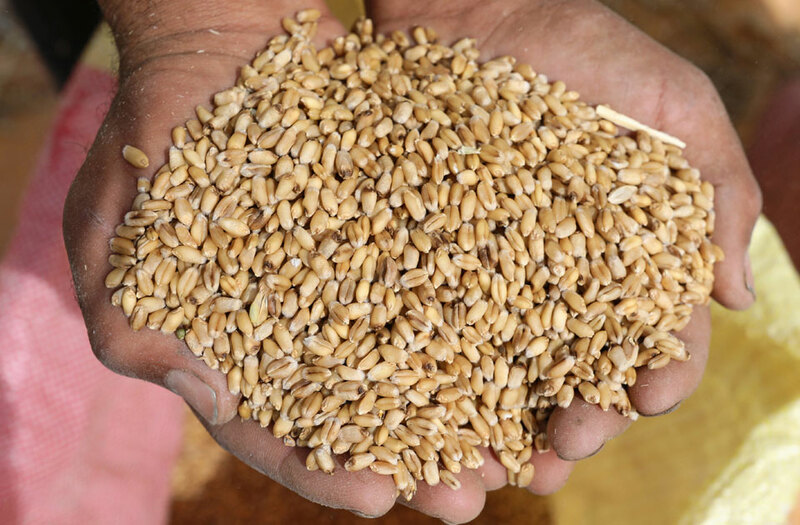 Egyptian Minister of Supply Ali Mosselhi said that the government has already purchased from farmers 1.4 million tonnes of locally-produced wheat out of a total of 4-4.5 million tonnes cultivated this season. 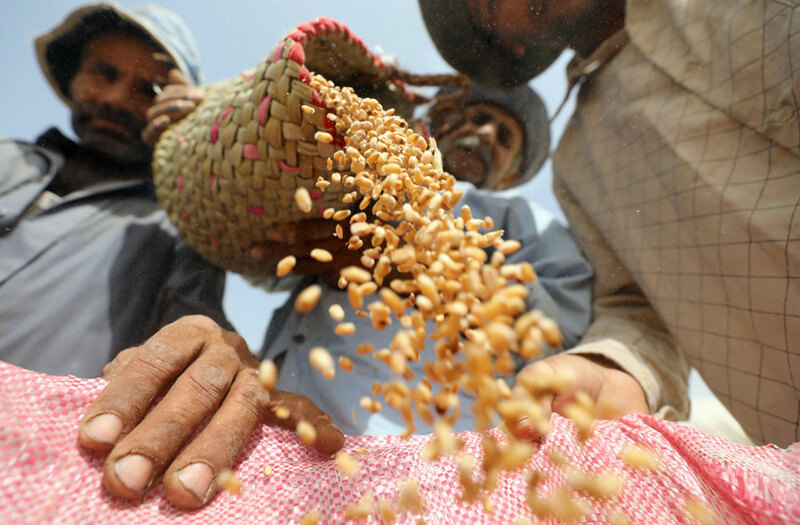 The yearly wheat harvest begins at the start of the spring season in mid-April and ends in mid-July.